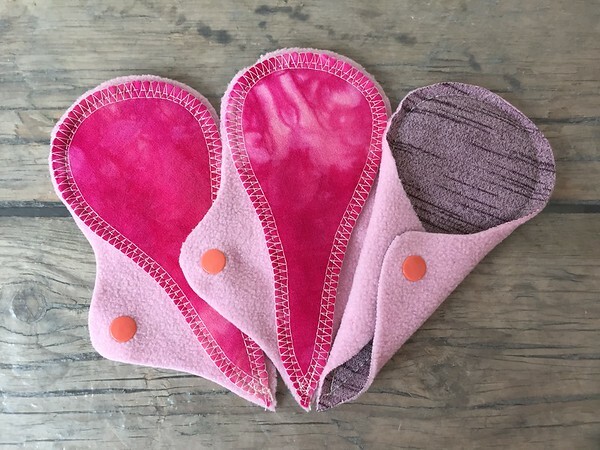 THREE Thong Liners - bamboo terry, smooth side up - "hot pink"
Super soft, bamboo terry tops, with high-quality, lightweight, waterproof fleece backing. * Perfect for light daily protection. These thong liners are approximately 6 inches long. All our pads are AIO (All-In-One) Style. No fuss, just wash and dry like any other laundry! We use only natural bamboo and/or cotton inside our pads, unless otherwise stated in the listing. 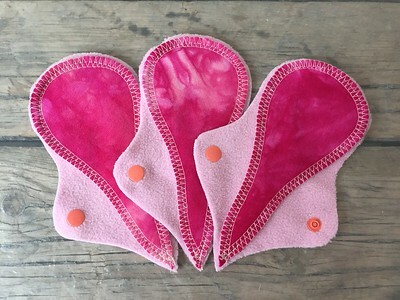 Tags: pad, menstrual, cloth, bamboo velour, hand dyed, pads, cloth pads, menstrual pads, mama pads, organic cloth pads, hand dyed bamboo velour pads, homestead emporium, HER Pads, HE Pads, H.E. Pads, H.E. 22.50 https://photos.smugmug.com/Instock-Photos-2019/February-1-2019/i-qQ4t8fZ/1/3e918c35/S/IMG_2313-S.jpg THREE Thong Liners - bamboo terry, smooth side up - "hot pink"